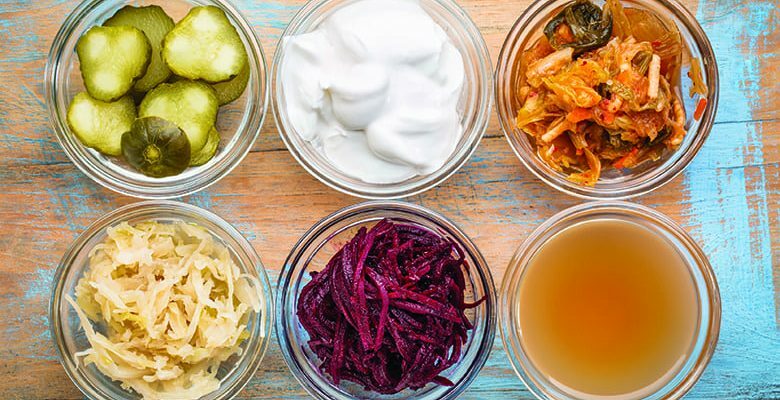 Probiotic and fermented food for gut health includes cucumber pickles, coconut milk yogurt, kimchi, sauerkraut, red beets, apple cider vinegar. Natural treatment for celiac disease involves healing the intestines and a gluten-free diet. Aloe vera, paprika and probiotics are three of our favorite healing aids, as they are safe and effective home remedies. A gluten-free diet means avoiding foods made with wheat, rye, barley or oats. Over 3,000,000 people in the U.S. have this auto-immune disease. An autoimmune condition, celiac disease is the body’s negative reaction to gluten, a protein found in wheat, barley, rye and oats. The reaction is triggered by the intake of gluten, which results in a reaction in the small intestine. As the reaction continues, it can cause inflammation and damage in the small intestine as well as malabsorption of nutrients. How Do I Know If I Have a Gluten Sensitivity? While celiac disease is often considered a confusing disease because of its variance in symptomology between individuals, there are a number of “common” symptoms or indicators of the disease. Weight loss, bloating, and frequent diarrhea or constipation are some of the most typical. In addition to digestive signs, some individuals also exhibit other symptoms including anemia, loss of bone density, itchy or blistery skin rash, headaches, fatigue, joint pain, and acid reflux. Are There Any Natural Remedies for Celiac Disease? One of the most important initial factors of treatment involves going on a gluten free diet to heal the existing inflammation. In addition to this measure, natural supplements can be used to rebalance the body. Aloe vera, paprika, and probiotics are all effective natural remedies for celiac disease. Aloe vera is a natural anti-inflammatory agent. Taken as a daily supplement, aloe helps soothe the irritation in the digestive system and restore balance in the gut. Paprika is also an anti-inflammatory agent. You can take paprika as a supplement or use it as a spice with beneficial results, such as reducing inflammation in the intestines and even treating underlying causes of the condition. Comprised of good bacteria, probiotics help reestablish the bacterial environment in the gut. Eating probiotic food or taking a daily probiotic supplement is especially effective for treating celiac disease. If you are gluten intolerant and have been plagued with painful stomach cramps and digestive issues, give these treatment options a try. Your daily diet doesn’t have to be spent just avoiding foods. Below you can find a number of user-submitted remedies for celiac disease. Let us know what you try from Earth Clinic to treat your celiac disease. Know of a remedy not yet listed here? Please don’t hesitate to share it with us! I found this information on page 48 of the book “Miracle Food Cures from the Bible” by Reese Dubin. It states..”.Celiac disease is a chronic intestinal disorder in which the body cannot tolerate gluten, an elastic protein substance found in bread dough, resulting in diarrhea. DATES contain protein carbohydrate complexes and mineral salts that halt this reaction to gluten, according to one expert. FIGS, another popular Bible food, work in a similar way.” I have found this to be true for myself. For me, it only takes one date and I can eat any product with gluten and not have a reaction! I wasn’t actually expecting it to work, but was pleasantly surprised. Hope it works for everyone else as well! This is an update to my earlier post about dates. I’m not quite as sure as i was at first that dates stop any reaction for me. They definitely did help, but it seemed I needed more and more dates to keep my system quiet. And frankly, I got pretty tired of dates. I’ve never been very fond of them. At this point, I think I’d rather go back to being gluten free than eating so many dates. Even just 3 or 4 dates a day seemed very distasteful to me. I’m sure it’s different for everyone and it might be worth a try for many people. Garlic CURED my celiac disease. Raw garlic often, mostly before bed to lessen social effects of the smell. Did you really CURE the disease with garlic? What else did you do? What to do if kids as young as 6 and 9 seem to have the disease? How long does take and how much should I take per day? One cannot “cure” celiac disease. The disease is activated several ways but a genetic test result identifying specific genes proves celiac. If one has activated disease it can be tamed but NEVER cured. I've had Celiac Disease expressed now approx.15 years. 5 days ago I had a insect bite, or spider bite on my chin, of so I thought. Self diagnosis is Dermatitis Herpetiformis. It became a deep, painful wound, swollen, red with a thick scab. Then more “bites” sneakily appearing. I became aware that these also were the beginning of DH. Using the product liquid bandage, a couple of brush strokes on each spot as they appeared quickly got them under control (no scab, no itching! ) within 24 hours. The first big red sore original one I did the same. Once the smaller ones were no longer slightly raised or pink, I knew that they were no longer active. So far I am winning except for the “master” scab which will take a few weeks I am learning. Feeling in control today anyways! Hello all, I’ve been an avid follower of EC for a long time and have used many remedies. In my quest to cure my edema , I had tried so many remedies a d none would work. So this bring me to my cure. After spending years being exhausted and sick with what I thought was IBS, I was hospitalized for anemia. In the end I have celiac disease. I was malnourished , anemic and very ill. Now 4 months later, I am very well. And finally able to exercise. Please look into this if you have these symptoms. Good luck!! I know someone who has successfully treated a celliac patient with a method called IPEC which has been developped in Israel and the US. I think you can be treated from distance as well (skype). I have used the method for various ailments and for me it has worked wonderfully. I believe it is not only a matter of method but of practitioner. Best wishes for a better health. Hi.. I beleive you about that different organic wheat varieties do not cause flare ups.. As when my husband got me some bread made by a different wheat type.. I had no reactions…. though I cannot remember that name now..~!! The Marquis and Red Fife varieties of wheat are old varieties of wheat that were grown in large quantities in North America and Europe prior to genetically modified and highly cross bred varieties. I don’t believe that the organically grown aspect is a factor in how it works but is a definite plus. Hi. I do believe I have gluten allergy. Anyone in Sask know of good places to buy gluten-free products? When I eat wheat I get a stomach ache, and gradually a headache. Drinking half a carton of heavy whipping cream makes the pain go away. So does psyllium fiber supplement mixed in water (1 or 2 teaspoons in a large glass of water). Psyllium also works if I feel fatigued and foggy headed after I eat something. Sometimes eating fresh ginger, maybe an inch cube, makes the headache go away. It is wise for you to make the connection between how you feel mentally and the health of your digestive tract. Most people don't seem to think there is much of a connection, but there surely is. In fact, the colon has been referred to as the second brain by researchers due to the fact that it influences the entire body similarly to ways the brain does. In my personal experience, when I overeat or eat too regularly what I have dubbed “colonic food” (food that seems to require a colonic to relieve the symptoms of eating, over-consumption of dairy, starch, and meat ranking high on the list), I can end up with severe depression and even suicidal symptoms, extra stress, become easily agitated, and cannot focus well. If it gets really bad, extreme fatigue and headaches can occur. Contemplating this over the years, I can only say that it is Candida or fungus issues in the digestive tract and body paired with excess mucous and filth in the colon and body along with bacteria and likely parasites. Also toxins seem to be a big issue (all synthetic objects outgas poisons). All of these burdens we have in this modern life attribute to us not being well. It is a bit of a taboo in our society to speak of cleansing the bowels, but it is probably the most needed and most important thing that we can do for our health. It doesn't matter if you have one or several bowel movements a day, you still need to cleanse the bowels regularly. I have had days where I have had 5 bowel movements and still removed a surprising amount of waste through the use of a high enema. Those who suffer from diarrhea need colonics just as much as those who are constipated. When fruits or other bowel moving foods give you the runs, this is a sign that your colon needs cleansing. For those with extra sensitive digestion, you may require colonics several times a week, especially if you are not physically active, you tend to overeat, or you eat improperly on a regular basis. It may often take two or three consecutive colonics (one or two per day) before you start removing built-up waste. Some people will try doing one colonic, not get much or anything out, and think they don't need to cleanse the colon, but these people often need colon cleansing even more than others who release waste their first time doing a colonic. Filth in the colon is a breeding ground for parasites, bacteria, and fungus. Paired with malnutrition and toxicity, these are the cause of many or all diseases. As for gluten intolerance, one commentor above mentioned the potential for virus and fungal infections in the intestines being a main cause, and it would explain the problem. People are too willing to accept the auto-immune excuse and think that the body is just defunct. The body does not attack itself. This is a misunderstanding that allows the medical establishment to not deal with the problem, likely because they don't know or refuse to acknowledge the true cause of so called “autoimmune diseases”. Though it is not likely (due to ingrained eating habits and lack of information, knowledge, guidance and willpower), I believe it is possible for gluten intolerance suffers to be able to tolerate eating gluten products again. You will need to thoroughly cleanse and nourish the body, kill all destructive organisms, detox harmful chemicals existing in the body, and re-establish beneficial intestinal flora through use of products like primal-defense. This is the basis for healing, and there are even radical cutting edge doctors that are using methods such as these in programs to reverse the symptoms of autism in children (which is linked to intestinal health). Colon hydrotherapy alone is not enough to bring about good health. It must be paired with responsible eating habits. To learn more, read books written by the late Dr. Bernard Jensen. Also, for ridding the body of parasites and other invaders, read the works of Dr. Hulda Clark. Fasting can accomplish much or possibly all of what colonics accomplish, but those in bad shape will burden their bodies with toxins, and the fast may cause more damage than good. Try a 3 day apple fast or 2 day apple juice fast, and take an enema at least once a day with these fasts to help the body eliminate the toxins and wastes released. It is a good starting point to help cleanse the colon. There is even an interesting fast that was once taught by a German doctor who instructed his patients to consume for every meal a hard white dinner roll with buttermilk. The roll is to be very thoroughly masticated (to the point of being liquid) before swallowed, and a cup of the buttermilk is to be drunk with the meal. This is the only thing to be eaten for a couple of weeks, and the intestinal flora is re-established in proper balance. People who were ill had high energy levels and good health after doing this fast. For those of you who just are not willing to do colon hydrotherapy, read the work of the master herbalist Dr. John Christopher N.D. He has herbal cleansing formulas that can do much of what a colonic will do, but it may take longer to accomplish the results, and will require a very strict diet for more serious ailments. One thing I would like to mention is that I have noticed people who suffer from Celiac Disease often have a sweet tooth. They are addicted to sugar and sweets, which is a sign of candida overgrowth in the body. Often the candida can even be seen in their skin if you know what to look for. Compare to the skin of Barbara Bush and Andy Warhol for examples. Lastly, those who think eating vegetables and fruit are enough for good colon health are generally wrong. Yes, you can live without colonics, but if you ever overeat or eat strange modern foods, your colon will need help eliminating. And the argument that colon hydrotherapy is not natural is also invalid, because neither are our diets, and none of us live the way wild man would live in nature, from the level of physical activity to the fresh air to the wild fresh nourishing foods eaten in their natural states and quantities, etc. If you don't know what you are doing, and you would like to heal yourself naturally, I advise you to seek out a competent natural healer such as a naturopathic doctor. If you are unable to find one, or the one you use is not giving you results, locate a Chinese doctor who practices Traditional Chinese Medicine. They have special forms of diagnosis and can prescribe specific Chinese herbal remedies based on your condition. There are many ways to heal. I hope this write-up can provide guidance and a starting point for those who don't know where to turn. I was tested for Celiac and Gluten. My blood test came out ok but whenever I eat any Gluten products I have some physical problems. Please give me your feedback what to use for gluten sensitivity. This is a wonderful website I found. Thanks to all wonderful people who is posting here and helping each other. I think I am noticing a change in my general sense of well being after I eat cheap bread. I noticed that I ate some spaghetti, Cheap, like the dime store type/ dollar store brand and that night I felt different in my mind. And last night I also ate some Cheap wheat bread and had the same negative sense of ill perception. It seems to affect my mind. Is it conceivable that the Gluten is causing a mental change of negativity? I am trying to narrow this down because it if is cheap bread, because I don't think I have this issue with the higher quality breads. humm. This was Nature's Own 100% whole Grain (12 healthy grains inside). So I am looking at the ingredient list and I can't pronounce some of the ingredients. How is that "Nature's own" I guess they mean that there are Literally "12" individual grains in each loaf and the rest is a load of chemicals. I am finished, the list goes on and on and on. This is "Nature's own" bread, Yeah. It looks like some toxic waste that was sewage before it hit the toilet. Those are reasonable ingredients for store bought bread. What I recommend with the pasta is make your own. First couple times you do it, it seems difficult but once you get the hang of it, it starts becoming easy. The manual machine that I have costs around $35. You have complete control of what you put in pasta and what you make it out of. Plus it tastes better than store bought. You can also make your own bread. This may allow you to find out what doesn’t and doesn’t effect you. The most simple pasta is just flour and eggs. Man: 10,000 years ago the weather changed for the worse. A few people in the middle east began growing grains. This provided them with enough food to sustain larger populations. More people meant more farming and so on. Bones slowly deteriorated after agriculture. Grains do not want to be food. They want to be a plant. They are not able to run away like an antelope. They do not have claws like a bear. So to defend themselves they make anti nutrients. The activity of their nutrients is less than fruit that does want to be eaten as a way to propagate the seeds. Soaking organic whole grains makes enzymes. Sprouts have 6 times the enzymes as soaked. Fermenting the sprouts for up to 3 days, varies from grain to grain, completely gets rid of the anti nutrients. Then cooking them like a porridge gives the most nutritional value. Your pasta sounds delicious! Maybe it will motivate me to make ours! Store bread has to have all that stuff in it to have any kind of shelf life. Store bought bread lasts a long time (Really, a scary long time! ) Homemade bread lasts for a few days. (Mind doesn’t generally last a day, but that is just because it gets eaten.) I agree with Prioris, if you make your own, you will know what is in it and would be able to pinpoint what is bothering you. We have been making our own bread for 15 years. I have a grain mill and mill the whole grain into flour and then make bread with the fresh ground wheat, water, yeast, salt, coconut oil, and sugar. You can make it without the oil and sugar. There is a recipe online for 5 minute artisan bread that is unbelievably simple with only four ingredients. I think that one reason many are finding gluten free and paleo diets to be effective is that they go off lots of processed foods. It may not always be that the grains are the problem, but more the processing of them and chemicals in the processed foods that gives people trouble. Just my 2 cents. Some farmer’s markets do sell bread without the chemicals…and even with fresh ground wheat. In regards to the shelf life of home made bread, the one thing that can be added to the bread recipe to keep moisture and lengthen the home shelf life in the bread is vinegar and egg yolk. Add 1 tablespoon of vinegar. You won’t taste the vinegar. Before I did it, the bread would go stale pretty quickly but after I started using the vinegar and egg yolk, it would last 5 or 6 days. You can experiment with it. Thank you Prioris and Mama and Mike. I appreciate the responses. I did not eat any grains last night and I feel fine. Eggs, scrambled, boiled, and I ate homemade sauerkraut and raw cabbage. None of that negativity mental state last night. Thanks for the tip on improving shelf life of bread. I have not heard of doing that and will give it a try! In regards to stale home-made bread: Lightly toasting a slice of stale bread will make it fresh again. Try it, you will be surprised in the difference. Years ago I baked my own bread. I had an old recipe book that belonged to my grandma. Re: making bread, it said to add pinch of ginger to make it rise faster. It cut time in 1/2. Of course I live a mile high. I have recently learned that I have a gluten sensitivity and my husband has celiac disease (cd). I don’t know if I have cd yet, but I plan on getting tested. I have recently read that gluten intolerance has been linked to over 200 diseases. I have GERD and get sick very easily. My husband is anemic and has chronic fatigue and ringing in his ears. It can cause many other issues like weight gain or loss, migraines, infertility, irritiable bowel syndrome. If ACV is not helping all your issues, I recommend getting tested for gluten sensitivity/intolerance. Your regular doctor can do a blood test, a holistic chiropractor can do a resistence test, or you can send a stool sample to enterolab.com (the most expensive option). Enterolab can also test for the gene for celiac disease. It sounds like your husband (and maybe you) have candida which is a fungal overgrowth. I had a very severe case of candida for years and found 2 things that got me back to normal. One is Syclovir which is sold at http://www.worldhealthmall.com, which is a marine plankton that kills yeast and fungus. However, I did not get well on Syclovir alone. I also had to restrict my carb intake quite a lot and take MMS, which is Miracle Mineral Supplement. You can buy this all over the internet. I began to improve when I was on 7 drops 4 times per day. I don’t think I would ever have improved without MMS. Somewhere I read that the small intestine or stomache is responsible for digesting proteins, and that proteins can create problems if they pass through undigested. Suppose an individual drinks a lot of coffee on an empty-ish stomache, maybe takes a few aspirin at the same time. This would probably be very acidic and erode the stomache and intestines. Now the person’s body tries to counter the acidity, but over time is less able due to a diminished ability to digest and absorb food. The body begins stealing what it needs to stay alive from it’s members, perhaps the intestines, joints, bones, etc. It might look similar to an auto-imune disease. Add in improperly digested protein, it sneaks through the holes in the intestine and accumulates or is used in the brain? Just a supposition….. Celiac may be inherited, but so is diet to some degree. Also alcoholism, etc. Also, taking coffee and aspirin together causes an extreme increase in energy, but appears to be very destructive to the system, don’t do it. I have a question about gluten sensitivity. I have read and heard first-hand some horror stories about people going very strict off gluten, and then either purposely or accidentally having some gluten, and then developing very severe, irreversable illness (fibromyalgia in one case). I am wondering if it is wise to go very, very strict off gluten, like not a drop, and become so sensitized to it that an accidental ingestion at some point would put you into some auto-immune disorder. For those that are not life-threateningly sensitive to gluten, but still very sensitive, I wonder if minute amounts on a daily or weekly basis would be wiser, to keep yourself somewhat desensitized (like some form of vaccine). If anyone has any light on this subject, I would much appreciate it, as I recently realized my daughter is gluten sensitive, but I don’t want her to have the same experience as others I’ve heard about. Thank you very much. I’m gluten sensitive also and have noticed that since I’ve been very strict off gluten, I am now more sensitive to accidental ingestion. HOWEVER, it didn’t give me a autoimmune disease or anything else (probably since I already have Chronic Fatigue syndrome, mercury toxicity and other problems). Ingesting gluten on a regular basis may actually lower your immune since gluten can degrade the villi in your intestine. This causes nutrients from your food to NOT be absorbed. I have heard that some people have gluten problems that affect the brain. I can’t remember the name, but they have serious problems. For some, gluten cannot be broken down and will cause an opiod (sp) effect like those with autism. For some, it is in the gut. Going gluten free has made my overall/ everyday health a lot better. Ingesting gluten gives me a stomach ache and fatigue the next day. Ingesting small amounts just makes me a little sick everyday instead of sick every once in a while. For people avoiding gluten we should also take Larch tree Arabinogalactan. When we completely avoid gluten we are missing something our stomach needs (sorry I don’t know all the details) but arabinogalactan is recommended to supply that missing thing for our stomachs. I take a tiny scoop (1.5 grms) daily in my morning brown rice protein shake. I was told by someone with Celiac Disease that they used to get rashes break out under their eyes (due to the Celiac). He experimented with Prescription Strength (2.5% Selenium Sulfide) Selsun Blue. He no longer gets these rashes (but he also avoids Gluten). So Selsun Blue MAY help with the rashes associated with this disease. I heard from another person that this remedy cures Tinea Versicolor as well. aid in coeliacs disease, change of life style. Aid in repairing the colon, Aloe juice on an empty stomach, herb teas no coffee, no sugar, honey instead, damiana, coltsfoot, dandilion, milk thistle, nettle, grate fresh ginger in with any 2 herbs of your choice in a tea mix, growing your own vegi’s and herbs replacing minerals in your body, eating fresh fruit veg, repairing the intestine and colon as it has folate as well, garlic, to replace vitamin C: capsicums, manderins. D&K calcium & magnesium, B12: spiralina, ginger. E:fish oil & omega 3’s, Folate: E&A tomatoes, mellons, cauliflour, cabbage, brussels, spinach Iron. Stay off processed foods and wheat products, read all labels before you eat. I feel wonderful now, stay on the diet for life.you will learn to love it, as the benifit and wellbeing is so worth it. best wishes. Good advice, the only thing that I would add as a celiac whose mother and daughter are also celiac, is the addition of L Glutamine 1 tsp three times a day to heal the lining of the gut. Take L Glutamine on an empty stomach for healing, and on a full stomach if you want to build muscle. Obviously, we opt for the former. Three months on this protocol has rebuilt our gut to the point where we are starting to produce our own enzymes! Yay! Hi Susan, I have lost a whole lot of weight from some GI problem. I am now doing some tests to determine what it is. I need to to put back on the weight. What is the brand of L-Glutamine that you were using? Yes I would also like to know where you bought or got your L glutamine. I was taking that for a friend who does NAET type work trying to help me with my fibro and arthritis problems which seem intimately connected with my celiac problems. Going gluten free hasn't been enough. I just saw another guy who is hawking doing the SCD diet say that celiacs need to stay away from all sugar, soy, bad oils – canola, soy, sunflower, safflower, et al – and all grains which includes the gluten free ones. Also saw stay away from potatoes except maybe sweet potatoes. I've done numerous NAET type treatments but seem to be getting worse instead of better. I took BioKult for awhile and that seemed to help but I have slacked off in recent months and that hasn't helped me. Taking coconut oil does. I have been looking at adding coconut water into the mix to help alkalize the diet. Someone also suggested drinking either lemon or pineapple juice but the lemon water with stevia seems like it would be the way to go as I have seen this as a 'cancer' alkalizing thing online as well. The glutamine was when I was doing heavy metal detox. Thanks. Perhaps the reason that going gluten free is not enough is that lectin proteins even in the smallest amounts can bind carbs in the gut. That then continues the problem. Also if damage is already done to the villi then again, the absorption is difficult. If you are getting a carb source to which you are sensitive (white potatoes/ nightshades in general), then the carb/lectin issue would be blocking absorption even though you’ve cut out your detrimental carbs from wheat/oats etc. So…solution…IF that is the problem and with ciliac prone people, the LECTIC issue is a key. Glutamine is one of the things that can neutralize the Lectin. Google Lectin and numerous sites will explain the Lectin/carb binding issue. Why won’t the villi absorb the carbs? Because the lectin is binding to the carbs and won’t let the villi take up the sticky enlarged molecule. So lectin is acting like a poison. Lectin can even cause some forms of food poisoning. You’re on the right track looking at Glutamine. What enzymes are you taking? I have a friend with ‘wheat gluten intolerance” or Celiac Disease. He is getting married and would like to take his bride-to-be to a tropical paradise but is having a problem finding somewhere that can accommodate his dietary needs. Any suggestions? Butter, cream, ayurvedic remedy of a mix of ghee + ginger powder + some brown sugar. The fat off free range lamb chops cooked in coconut oil. (Avoid any nuts for a while while the intestines heal as they are scratchy). Vitamin E. Raw wheatgerm (oats and raw wheatgerm provide natural vitamin E). Note: Gluten is not the “Route” cause. Ask the question why can my intestines not tolerate specific foods. Is the answer a deficiency in the diet reducing the health of the intestines? Thank you for sharing your information. my girlfriend has really bad break outs on her elbows, knees, and even her rear. we have been trying to avoid gluten but it is really hard sometimes. Celiacs is when the body attacks the gluten in the body and as a result attacks the small intestine in the process causing a number of different symptoms. This is like any other allergy. Someone who is allergic to peanuts is going to have an allergic reaction to peanuts no matter what they eat. If you have reflux, get tested for celiac disease. I’ve a read a lot of people comments so far about how they’re dealing with acid reflux. I just graduated college and just found out that I have celiac disease, gluten intolerance, after all these years of frustration and embarrassment in college. You can get a simple blood test to see if gluten intolerance is your problem or try cutting out these items and see the reaction you have. Some statistics I’ve read claim that as many as 1 in 134 people are intolerant to gluten but only 1 in 4,000 know that they are. Most people are wrongly diagnosed with GERD, acid reflux disease, IBS, Lactose intolerance or as my grandma called “sour stomach”. I’ve been diagnosed at some point or another with all of these. I’ve tried everything from over the counter recipes, friend’s home remedies and ACV. While I do believe the ACV helps me to lose weight, it’s done very little for my tummy. Cutting out all wheat, barley and rye along with any of their derivatives has been my only form of relief. Trust me too that when I do eat anything with those ingredients in them I get a little pain in my stomach and actually no longer feel hungry after only a eating a little. If I ignore this pain than it is certain that acid reflux will set in and ruin any good times that I thought I was going to have. It is really hard to cut all of these things out of your diet especially living in America where fast food is almost always something with bread, but it can be done. I know salads get old after having them every day but for me switching between salads and rice based meals, Mexican, Asian, etc., is how I live now. They do make some great all purpose flour that is Gluten-free, that I buy at Kroger in the organic section. Also most organic stores carry bagels, English muffins, pizza crusts, waffles, cereal and many more items that are Gluten-free. My favorite is tapioca flour; it’s not as brittle and doesn’t dry as much as potato or rice flour, the other two popular flours. If you’re not near any place that would sell these items they can be found online when you search “gluten-free food”. Since I’ve stopped eating gluten I’ve been told it will take 3 weeks for my small intestine to heal and up to 6 months for my large intestine to heal. Once I stopped for consecutive days I immediately noticed a difference. It’s not that I don’t have enough stomach acid but that the small hair in my intestine no longer except nutrients and instead slow the process of digestion and absorb more fat than normal. The more gluten I eat the more weight I gain the more water I store and the worse I feel. So it might be worth a try. If you feel as bad as I did anything is worth trying. Good luck! I found with gluten intolerance that by taking probiotics with the meal I can get by enjoying that meal without the side effects of fingernails raking across the inside of my intestines. I will do this for just the or two meals. I won’t eat two gluten meals in 2 consecutive days. I normally eat the raw foods and some steam or convection baked and the body loves it. Please tell in detail, how you took Aloe for Celiac Disease. Greetings, It’s been 5 days after eating the dreaded commercial pizza and I am still feeling bloated etc. I have discovered the best remedy for me to helps soothe my inflamed intestines has been Aloa Vera. I feel I am well on my way to healing…. I have celiac disease, I heard ALOE VERA is best to treat this disease.. I want to know how to use it, should I take juice of ALOE or aloe gel? and how long I should take it to recover? In reference to your suggestion that Aloe Vera can assist is soothing the inflamation of Celiac, yes it can and it is also part of my formula for ulcers. But that does not take care of the underlying problem causing Celiac. And it is not gluten. Gluten plays a part but I think it may well be a viral infection in the intestine inflaming the walls of the intestine there by causing the villi to close up under pressure from the infection. Then if the intestine receives gluten, the gluten futher clogs the villi pathways; gluten being most sticky of all foods. That is why when the gluten is eliminated the villi are less irritated and the infection can be better handled by the immune system. But a cronic infection just lingers in its intestinal "home" and like all viruses, they seek a host organ. I am NOT saying that all celiac proglems are viral/fungal or bacterially caused. (The lipase enzyme level might be low, or a genetic issue may be present. ) But I believe many cases are caused by viral/or fungal infection and if I were so diagnosed would be quick to try taking colloidal silver twice daily on an empty stomach… Two tablespoos, twice daily. Not all silvers are alike. I make my own and know the ppm level is high and have been regularly taking silver for decades. Thank you so much for your information. I was diagnosed with Celiac Disease about 3 or 4 months ago and I'm having a nightmare of a time trying to find my happy place! I also have Celiac DH which causes rashes fantastic right!!? And reading what you posted gave me some light. Wendy from Plover, WI U.S.A.
Celiac causes many health issues. Diabetes, fibromyalgia,blemishes, yeast, MS,attention deficient, lupus, cancer, eczema, psoriasis, low thyroid, arthritis, acid reflux and many more. Good Book- Dangerous Grains by Braly Diet- eating no dairy or grains, Vit B12 methycobalamin shot, Vit D3, HCl and enzymes with meals, dairy free acidophlus when stomach acid is low helps. I also did LDN. I don’t like drugs but LDN helps since there is so much hidden dairy and gluten it is hard to avoid it. I take 41 vitamins since my intestines are not absorbing as much as they should right now.People do not see my MS. I take things to counteract it like coenzyme Q10, rhodiola,biotin, carnitine, acetyl carnitine which helps the mitochondria work better which also helps fibromyalagia people too. I take the good oils:fish oil, evening primrose oil, Krill oil,lecithin, phoshpadityl serine/DMAE. Many months ago I posted a comment about the ACV remedy for Acid Reflux. I suddenly got Acid Reflux last winter after taking a lot of Ibuprophen. The ACV remedy worked great, but after almost a year I was not cured. I felt that the ACV was helping me to manage the situaton but not really curing me. I was still having bouts once in a while and then I had reflux pretty severe for more than a week in early September, and the ACV wasn’t really touching it. In order to feel better I really started eating very simply, mostly vegetables and some meat. After a few days of this I felt a lot better. But I continued my new simple diet for another couple weeks. Then I decided to add back in some cereals and immediately got Acid Reflux again. I new that I had a low level of gluten intolerance but after this I have come to the conclusion that I’ve have Celiacs, full blown. Who knows, maybe the ibuprophen weakend my stomach just enough to have the new level of Celiac symptoms. I have eliminated all grains except rice, corn and millet and I feel GREAT! I haven’t even bothered with taking ACV for several weeks now. Symptoms of Celiacs or gluten intolerance range widely, so I’d recommend anyone with chronic acid reflux, mental fogginess, depression, anxiety, stomach upset, or skin rash, try eliminating gluten containting grains for a week and see what happens. Don’t be afraid that you might be alergic to bread there are A LOT of great resources for Celiacs and gluten intolerant people now adays. I’ve had celiac disease since I was 2, but at the time the doctors thought I would grow out of it once I’m 7. I ate”normally” for about 12 years and a host of problems began. My intestinal biopsy showed scarring. My chiropractor (this is 20 years later) suggested to take extremely strong enzymes to handle the scarring and improve my nutrient intake, a cat’s claw supplement and pro-biotics. (There are several really strong “systemic enzymes” to be found on the Internet). Note: I’m also sticking to the gluten-free diet. On the enzymes, I’m following one website that said to increase the amount by a capsule until I feel they are working. I’ve been taking anywhere between 5 and 15 enzyme capsules a day for about 3 months now and feel great! Also my nails look better and my hair has started to grow back (alopecia). Where did you purchase the “systemic enzymes” that helped the growth of your hair. My husband has alopecia and would be interested in trying these enzymes. thanks. The best systemic enzymes on the market are sold at http://www.docsprefer.com by Dr. William Wong. I can’t live without them. Would you mind sharing the brand of enzyme product you are finding so helpful? Has the papkira spice added to your food eliminated the gluten problem?